David Bagley specializes in all aspects of commercial real estate, including commercial real property acquisition and development, real estate finance (representing both secured lenders and borrowers), asset-based and other commercial lending, commercial leasing, and other real estate and business transactions. ·Acting as real estate lending counsel for several institutional lenders, averaging more than 70 loan closings each year during the past four years. ·Assisting two San Diego State University-affiliated organizations in a realignment of their support functions, resulting in the transfer of student housing and retail properties. ·Representing a San Diego-based real estate company in the acquisition of several major business parks, in the sale of lots in a client-developed business park, and the financing or refinancing of major apartment complexes. ·Representing a real estate advisory entity in residential development property deals throughout California, including acquisition due diligence, home builder joint ventures, purchase agreements and entitlement assistance. David Bagley has been with the San Diego law firm HechtSolberg (Hecht Solberg Robinson Goldberg & Bagley LLP) for nearly 30 years, since 1988 as a partner. In addition to his work with HechtSolberg, Bagley was the 2003-04 Chair of the California State Bar's Real Property Law Section. 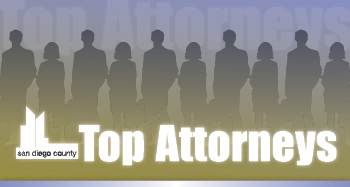 He is a fellow of the American College of Mortgage Attorneys, a frequent speaker on real property acquisition and finance topics for the California Continuing Education of the Bar, the State Bar of California, NAIOP, Lorman Education Services and other groups, and has been listed in Best Lawyers in America every year since 2006. Bagley served in the U.S. Navy as a surface line officer and later (after law school) as a judge advocate. Following his release from active duty to join HechtSolberg, he continued as a drilling reservist before retiring as a captain in the Navy’s JAG Corps. Bagley is an honorary lifetime member and a past president of the board of trustees of The Bishop’s School in La Jolla, and a board member and immediate past president of Episcopal Community Services, a San Diego-based provider of social services to low-income families and individuals. He also performs pro bono real estate legal services as vice chancellor of the Episcopal Diocese of San Diego. Bagley is a long-time resident of Del Cerro. He and spouse Christine are the parents of two grown daughters, both now parents themselves. He enjoys woodworking, swimming and running, and this year completed his fifth (and last!) Rock ‘n’ Roll Marathon.